As promised here is my part 2 of our trip to Hawaii. After spending a week in Maui we flew over to the island of Oahu. I loved Oahu, I call it the best of South Beach Miami but with the beauty and culture of Hawaii. 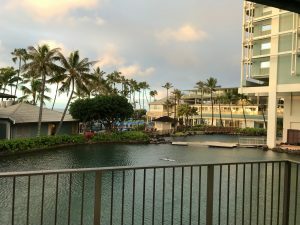 We spent a couple nights in Waikiki, we actually rented a condo through VRBO and it was super great to have a kitchen and we found a unit with an incredible view of downtown and the beach. 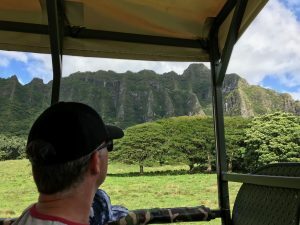 Kualoa Ranch and the Jungle Tour which gives both the history of the island and visits some fun movie scenes like Jurassic Park and Kong Skull Island. You also get a little stop to hike up to this incredible view. 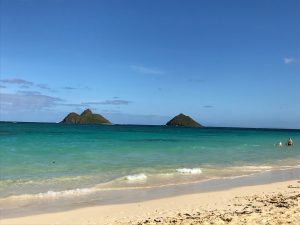 Visit to Lanikai Beach, one of the most beautiful on the island. Have lunch right by Lanikai beach in the town of Kailua at Fat Boys – delicious! 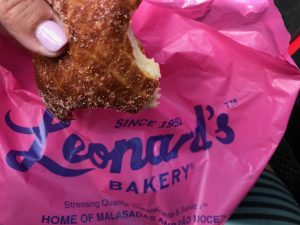 Leonards Bakery for Masaladas, the best I have ever had, the sweet and sour flavour was the best! We did a trip to the north shore, a fun drive with a stop at the Dole Plantation. The line up was too long but everyone says to have a Matsumoto Shaved Ice and find Giovanni’s shrimp truck. 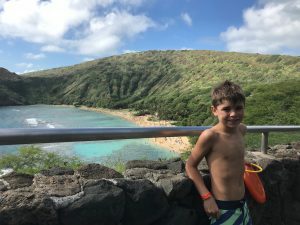 Hanauma Bay for snorkeling. Get there early (before 8:30am) as they only give out a certain amount of tickets per day and take note the beach is closed on Tuesdays to let the fish rest. You have to spend a couple nights at the Kahala Resort in Oahu, they are so amazing and the hotel is beautiful. IT is just east of Waikiki. The resort is known for their Dolphins to live on the grounds. I have a count down to go back to Hawaii for my 50th… what a special place. 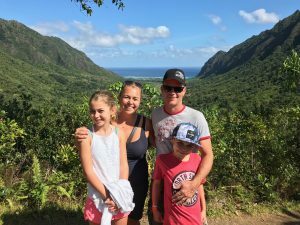 Check out my Oahu videoblog and experience it with us!